Can you believe this year is almost over? Where did the time go? I still can’t believe that we are days away from New Years. Many of us make new years resolution lists to start the new year right. One of my resolutions for this new year is to be more aware of my spending habits and save money each month. Saving money doesn’t have to be a bad thing, it’s about being clever and knowing how to manage your finances. It’s about being smart and taking control of your finances so that you are prepared for any unexpected expenses. 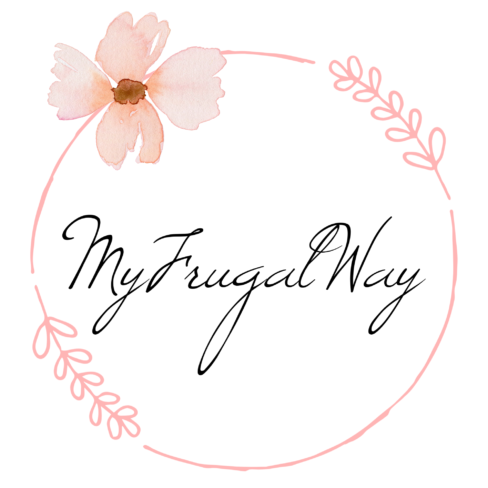 So if you are looking for clever ways to save money each month, then I hope that this post will be beneficial to you or just a friendly reminder to help you cut back on your spending’s. Lead Light Bulbs use less energy than incandescent Bulbs, so you will save money on your electricity bill by switching to LED Light Bulbs. Also, they last way longer than regular bulbs, led bulbs to stay cool and do not contribute to the heat build-up in the room, therefore helping you reduce your AC costs. 2. Save money on your cell phone bill by switching to PREPAID plan. Its amazing how much money you can save if you switch from your current cell phone carrier to a prepaid plan. Our cell phone bill each month was close to $180 for two people, that is just ridiculous. Switching to a prepaid plan will lower your cell phone bill in half, some of my favorite prepaid plans are MINTMOBILE and TELLO . If you are looking for more ways to save on your cell phone bill, check out THIS SIMILAR POST HERE. How To Save On Your Cell Phone Bill. Lower your thermostat to 68 in the cooler months and save up to 10% your energy bill. If the temperature in the house is too cold for you, you can adjust the thermostat back to a more comfortable setting. But before you do that, try dressing warmer, wear socks and slippers and use thicker blankets at night. Ok, I know what your thinking, that I’m a little crazy. But actually using Disposable Plates can save you money on your energy bill. Think about all the hot water you use to wash your dishes daily. I find myself constantly washing dishes throughout the day, not including the daily dishwasher run. Having Paper Plates is just so much more convenient, easier to clean up and you will be saving money by not using so much hot water to wash your dishes. 5. Implement a NO SPENDING CHALLENGE. I love this idea, no spending challenge means choosing a period of time where you don’t spend any money. Of course paying your bills, like your mortgage doesn’t count here, I am talking about cutting back on eating out, shopping, or anything that is unnecessary. At first, try a day or a weekend without spending any money, then over time, you can challenge yourself for a week or two. Appreciate the things that you already have in life, instead of eating out shop your own pantry and make your own meals at home. Make sure to put all the money you saved during this period into a savings account. Spot clean your laundry before you throw it into the washing machine and use cold water on the normal setting to use less water and save money on your energy bill. Afterward, use a Laundry Rack to air dry your clothes so you don’t have to use your dry machine and waste electricity, and your clothes will last longer. 7. Save money on your grocery bill. Food and groceries take such a big chunk of our finances, especially if you are eating out. But you can save hundreds of dollars each month with a few simple tips. Make a list and stick to it when you go grocery shopping. Shop your own pantry and fridge, this will also help you eliminate food waste. Use cashback sites like Ebates and Ibotta to get cash back on your purchases. Plan your meals with $5MEALPLAN .Planning out your meals will prevent you from buying food that you don’t need and help to eliminate food waste. The one downside to cooking your own food is meals planning, it can take so much time planning all the meals yourself. That is why I love$5 MEAL PLAN they provide a pre-made weekly meal plan and shopping list. With $5MEALPLAN you get five dinner entree with sides, which include one freezer friendly, one slow cooker, and one 20 minute meal. Also 1 lunch, 1 breakfast, and a random goodie. I truly think that you can save a ton of money with $MEALPLAN, time and eat healthier. 8.Lower Your Car Insurance Bill. If you are a homeowner speak to your insurance rep by bundling your home and car insurance together and save between 20% to 30% on premiums. Improve your credit score, by being responsible and making your payments on time will increase your insurance score, and the lower your car insurance rates will be. Shop around and compare insurance rates with Zebra.Com the site compares more than 200 car insurance companies to find you the lowest rate. If you are a homeowner and have been living in your home for a few years, refinancing can be a great option to help you save money, by lowering your monthly mortgage bill. There are things to consider before you refinance your home, first, you have to have a good credit score, mortgage rates today and your home equity. Refinancing your home can help you drop your mortgage insurance and by locking down a lower interest rate will result in a lower monthly mortgage bill. Other options to think about is wheater you’re eligible for home equity or cash out refinance. 10. Cut your cable bill. Most people spend about $85 a month on cable TV, that is a lot of money. Try downsizing your cable package and calling your cable company to negotiate for a cheaper package. If that doesn’t work, then consider cutting the cord and switching to streaming services like HULU, NETFLIX OR Amazon Prime Video and lower your cable hill by half. 11. Learn To Say No. Are you one of those people that have a hard time saying “NO”? Trust me I am guilty when it comes to saying NO, especially when I am the store with my kids. “Mommy can you please please buy this toy for me please”? Sound familiar to you? Most of the time to get my kids to be quiet I will say yes just so I can get my shopping done. And as soon as we get home they will play with the toy for a few minutes and forget about. So this past year, I have been saying NO more often, even if they want a little toy it still costs money and trust me even those few dollars add up to your expenses. One thing I have been doing is hiding their old toys for a few months in the garage, and when they are bored I will bring them out and my kids and they get so excited as if I bought them new toys. 12. Use The Envelope System. With the envelope system or as I like to call it the Cash System, you decide to use cash for different categories of your budget in envelopes. The first thing you need to do is set up a monthly budget plan, then fill up the envelopes with cash for each different spending categories like groceries, restaurants, and clothing. If you used all the money in the envelopes, spending is done and don’t borrow from other categories. If you are looking for other ways to save money and live a debt free life I recommend this BOOK by Dave Ramsey The Total Money Makeover:A Proven Plan for Financial Fitness. Before I buy anything I always look for coupons, and 99% of the time I always find a coupon. You can go to your local newspaper office and buy newspapers in bulk for like $5 and find great coupons there. Some of my favorite websites to use to find coupons when shopping online is RETAILMENOT, COUPONS.COM and CouponCabin. Also, don’t forget about cashback sites like EBATES if you join Ebates thru my Referral Link you will get a $10 when you sign up and spend at least $25. I have been using EBATES for years and always received payment on time. If you shop online often why not get cash back for the purchase you make. You can also find great coupons and get cash back by shopping in-store by linking your debit or credit card. Another favorite cashback app or site I like to use is IBOTTA , especially for cash back on your grocery shopping. 14. Price Match To Save Money. Many stores and companies offer price matching if you find a particular product or ad bring it to the competitor and most of the time they will price match it for you. Also, keep an eye on your purchases, if the price drops within 10 days or so many stores will refund the price difference to your original form of payment. I have received a price adjustment from Macy’s multiple times, and I know Walmart also does price adjustments. 16. Pick Up A Side Hustle. If your schedule allows you, then pick up a side hustle to earn extra income. If you want to expand your savings, then you gotta make money to save more. The first thing I would recommend to anyone who wants to make money online is starting a Blog you can earn income by monetizing your blog. You can start your own blog for as low as $3.95 A Month read my step by step tutorial HERE if you are wanting to start your own blog. Related blog posts to earn extra income on the side. 10 Ways To Make Extra Income On The Side. I hope that these tips will help you save money each month and this year will be your best year yet. If you have any additional money saving tips or advice please comment below and don’t forget to share.